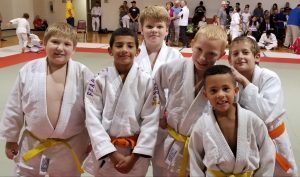 The West Central Illinois Judo Invitational (formerly the Hollis Park Judo Invitational) took place on January 6, 2019 at the Hollis Park Recreational Center in Mapleton, Illinois. Team White Dragon sent the young dragons in this tournament. Kartemis Heary made his shiai debut. Heary got off to tremendous start in the preliminaries with a thunderous osotogari. In the semifinal he showed off his exceptional newaza with a submission win. The rookie judoka ended the day 3-1 with a silver medal for his efforts. Phillip Vojta earned the MVP honors for second consecutive year in this event. The phenom rolled through his competition going an undefeated 6-0. He took gold in his weight class and the open division. 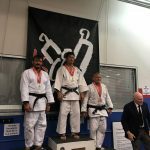 White Dragon Judo Club co hosted the New Years Holiday Open Workout on Saturday, December 29, 2018. The workout had two sessions. 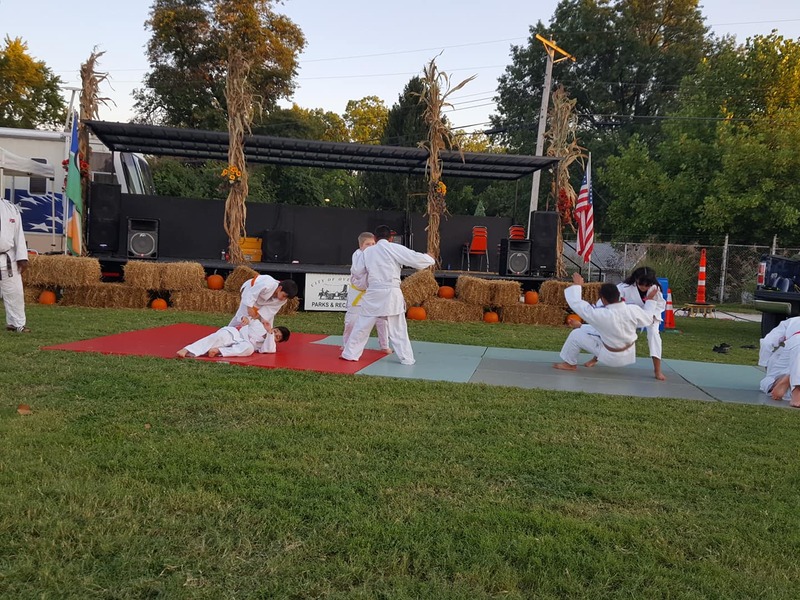 The event featured some well known judokas in the state of Missouri. Some of the judo players have moved away but took the time out of their busy holiday schedule to share their judo knowledge and have fun. 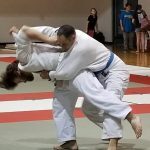 The workout involved a lot of randori and a select number of judokas got to show there favorite techniques. What is your New Year’s resolution? Why not start your JUDO journey. Come…the mat awaits you. The 2018 ISBA World Judo Championships took place in Odivelas, Portugal on November 16, 2018. This is the world judo championships for the visually impaired judokas. 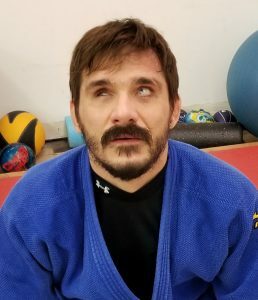 Adnan Gutic represented the United States and White Dragon Judo Club. Adnan performed a personal best in this event. Though he did not medal, he placed ninth. The top ten finish has ranked him among the best in the world. If Adnan can place or win a few more international and national judo tournaments he will make the 2020 USA Paralympic Judo team. An awesome showing from a phenomenal judoka. The 8th Annual Gateway Invitational Judo Tournament got underway on October 6, 2018 at the Overland Community Center in Overland, Missouri. This tournament has attracted judokas from all over the Midwest region. Tournament director Sensei Derick Wellman put together another competitive event. 7th dan Randy Pierce was the head officiator for this tournament. David Burke was the head coach of Team White Dragon for the second consecutive year. Burke got the best out of Team White Dragon as all team members medaled in tournament. Caleb Bass had his work cut out for him in his tournament debut talented stacked division. Caleb made the best of his opportunity and scored a bronze medal. Sean Eagan showed exceptional improvement in his debut. He impressed his peers and coaches with a bronze medal finish in the boys heavyweight division. Trevor Judge collected a silver medal in his third Gateway Invitational. Alex Halon went 3-1 on the day and won a silver medal. Avery and Cameron Duffield showed their dominance for a second consecutive year. Big brother Cameron went undefeated and took another gold. The competition had no answer for Avery’s newaza. He earned a gold medal as well. 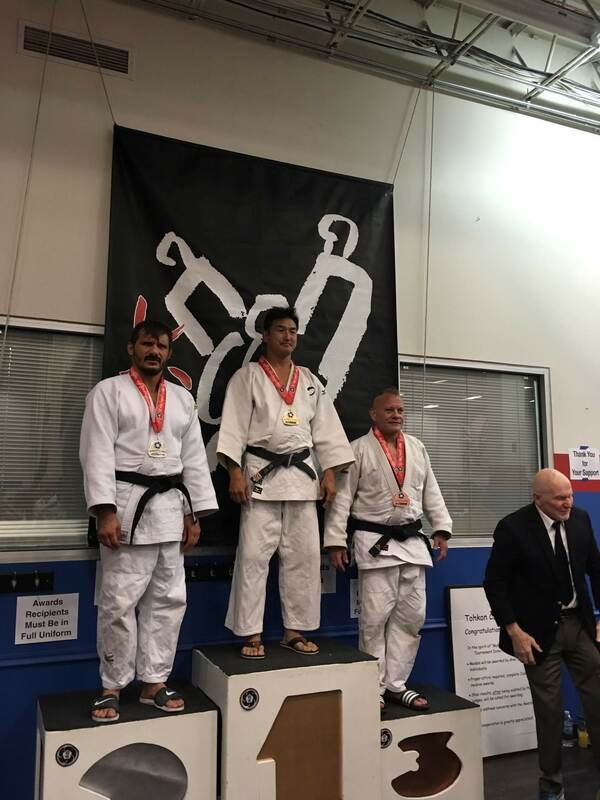 In the senior division, Byron Helmrich took bronze in the lightweight division. Josh Sisson won silver in his category. Ryan Morrow went 3-2 on the day and won bronze. Adnan Gutic scored a splendid ippon with tomonage in the semifinal. He took a silver medal home for the day. Justin Campos had an impressive debut scoring a silver medal for the tournament. 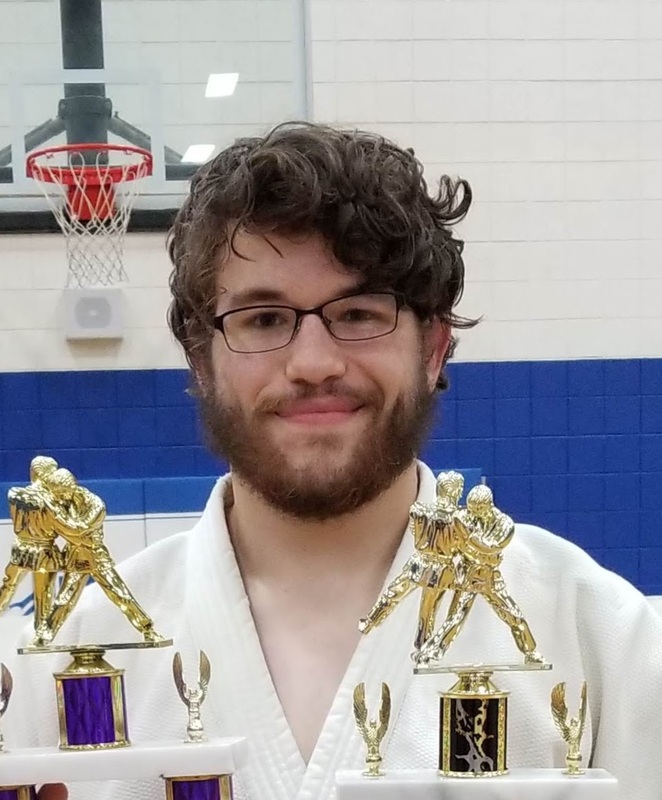 White Dragon Judo standout Phillip Vojta won his third consecutive Gateway Invitational gold. The MVP of the tournament was Joe Judge. He made the best of his debut with some impressive ippons in the Veterans middleweight division. 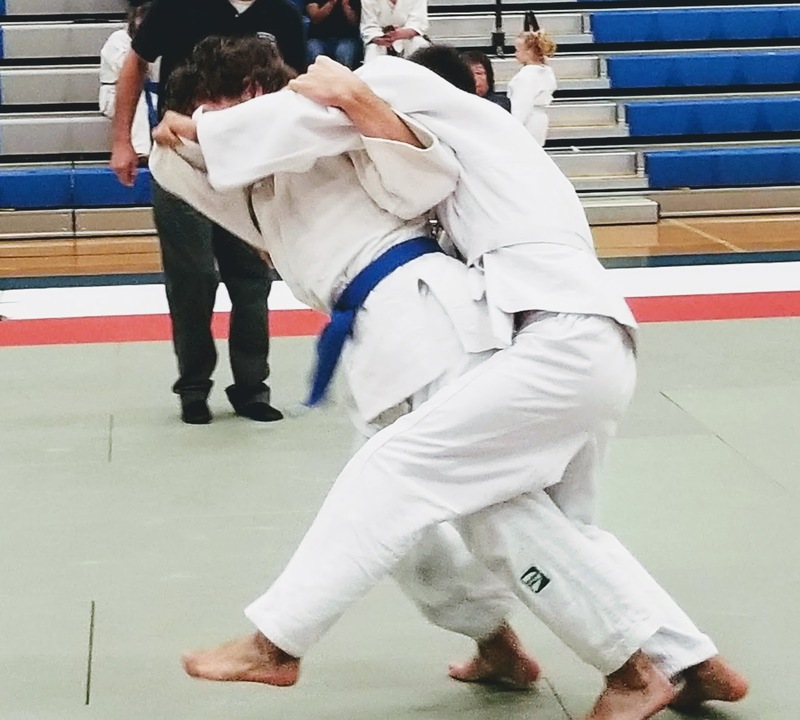 The 2018 Konjo Dojo Judo Championships took place at the Hillsboro Junior High School Gym in Hillboro, Missouri on September 22, 2018. The tournament was officiated by tournament director Randy Pierce and 4th Dan Derick Wellman. Coach David Burke led a small yet talented team to this event. The juniors were led by Edward Ter-Hovhannisyan, who got second in his division. Brother Mark Ter-Hovhannisyan followed up with a third place finish in his category. In the senior division, Phillip Vojta was the superstar of the tournament. Vojta went undefeated on the day, putting on a clinic of judo throws, winning every match by ippon. He took first place in his weight class and the open division. 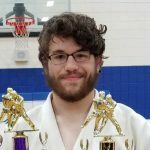 Jay Baker was promoted to Ikkyu, first degree brown belt in judo on September 20, 2018. Dan Raney, Adnan Gutic, Josh Sisson, and Adam Manfredi were all presiding and approved of the promotion. Jay has been relentless and diligent at improving his judo. He has quickly climbed the mountain and his judo will only just get better. PRACTICE is the only way you will improve. Jay has also shown significant improvement in shiai (competition). White Dragon Judo Club would like to commend, encourage and congratulate Jay Baker on his recent and well deserved promotion. Promotion Night featured an outstanding individual who makes it a priority to stay in shape. 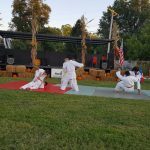 With Nidan Dan Raney and Anthony Daravesky presiding Joe Judge was promoted to orange belt on August 30, 2018. Joe Judge is a police officer for the O’Fallon Police Department. Joe dedicated himself to learning the concepts of judo from when he was a beginner. Although frustrating at times, the marine veteran preservered and adjusted, doing extra workouts to gain more knowledge. The hard work paid off as Joe improved in the dojo and in competition. His dedication and enthusiasm is contagious as his kids and relatives take judo lessons at the dojo as well. White Dragon Judo Club would like to commend, encourage and congratulate Joe Judge on his recent judo promotion. It was another great night of judo at White Dragon Judo Club. With 7th dan Randy Pierce andDerick Wellman presiding, Ryan Morrow was promoted to Ikkyu, 1st degree brown belt. Ryan is an prime example of service to judo. Morrow has been practicing judo since he was 8. During his adolescence, he developed into a formidable junior competitor. Ryan took a long hiatus from the mat to go to school and start a family. 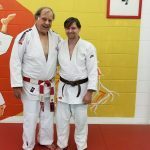 He returned to the dojo in 2016, sharing his knowledge with junior judokas as an instructor. He has been a great influence to the juniors and has even gotten one of his son to practice the martial art. Ryan returned to competition in 2017 and has also volunteered his time putting together the judo tournaments that the dojo has hosted. White Dragon Judo Club would like to commend and congratulate Ryan Morrow on his recent promotion. The 2018 Tohkon Classic was at a different venue this year. 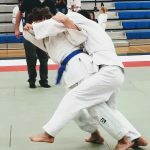 The Joy of the Game was the sight of this year’s judo tournament. The judo tournament got underway on June 16, 2018. Team White Dragon was composed of 5 time visually impaired champion Adnan Gutic, Demonn Smith and young standout Sam Coln. 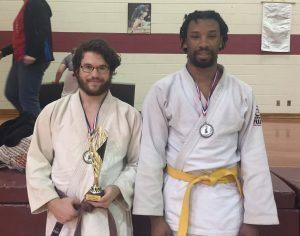 Sensei Derick Wellman and Randy Pierce helped officiate the judo tournament. In the senior bracket, Sam Coln got off to a tremendous start with a victory in the preliminaries. Coln continued to fight diligently against superior opposition but unable to crack the medal stand. Demonn Smith returned to the mat after a brief injury layoff. He scored a victory in the veteran’s heavyweight division. He did not medal in this event. The MVP of the tourney was Adnan Gutic. Adnan went 5-2 on the day competing in the veteran’s middleweight and open divisions. He utilized a strong ground attack and took home a silver medal.